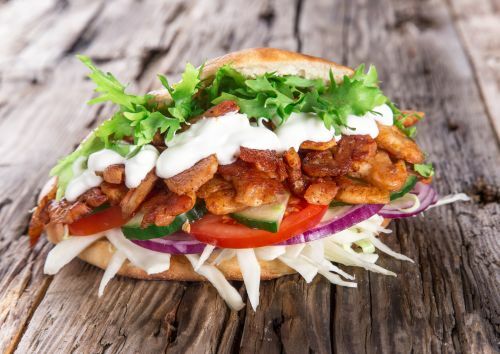 Menulog delivers for Hot Kebab so you'll be able to track your courier on a map. Dry chickpeas, onion and parsley. Onion, carrot, celery, olive oil and tomato puree. Lamb or chicken, onion, tomato, lettuce, hummus and garlic sauce. Choice of protein, pasta, cheese and choice of sauces. Choice of protein, chips, cheese and choice of sauces. Pita bread, meat, chips and salad.